Digital marketers have been saying that 2016 is the year of the video. Since more and more people are going online, the demand for content has also risen. And among the different types of content, video is seen to be preferred by Pinoys. A lot of companies benefit from this trend, here and abroad. Some even got free publicity due to their content marketing or attention-grabbing ads. In the US, a blender company called Blendtec increased its sales by 700 percent simply by creating a video series called “Will It Blend?” The series shows Blendtec trying to blend different things, to showcase the durability and strength of their blender. What they did differently is that they tried to blend the most outrageous things, including an Apple Watch! The video series quickly went viral and led to awareness which eventually led to sales. 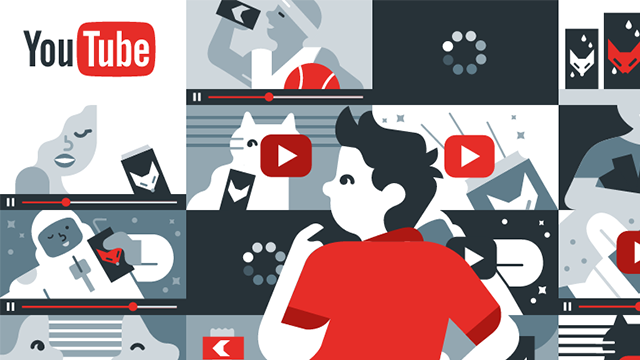 People’s love for videos is the reason why YouTube remains to be one of the most popular websites in the world and the second-most visited website in the Philippines. Now the question is – how to make your videos unskippable and more engaging? We know that if you don’t capture the attention of viewers in the first few seconds, they will definitely skip the video. What better way to learn this than studying the top viewed local YouTube advertisements for the first half of 2016? Here are some things that marketers and business owners can learn, especially if they plan to create their own YouTube ads. Videos that show Filipino celebrities or personalities or anything with local flavor is definitely preferred by Filipinos. In fact, this is the second time that local ads dominated all ten spots in the leaderboard or top 10 most watched YouTube video ads. This is proof that videos with local flavor are more relatable and resonate more with Pinoy audiences. Take for example the When Minutes Turn Into Moments ad of Nescafe featuring Alden Richards and Maine Mendoza, more popularly known as love team AlDub. Not only are they a well-known pairing, but the advertisement also featured Filipino heritage houses and culturally significant elements like a kalesa ride. The original Pinoy song “A Cup in Hand” also played in the background. You would think that the shorter the ad, the higher that chance that it is viewed, right? Not the case all the time. Seven out of the 10 most viewed ads exceeded the usual 30-second mark. This just shows that brands who excel at storytelling, regardless of length, could still capture the attention of people and get their message across. It’s undeniable that Filipinos have a soft spot in their heart for children. This must be why five out of the 10 most viewed ads feature children. These ads have them doing endearing things, having fun, and getting into wacky antics. The perfect example of which is the Bonakid Pre-School 3+ ad which became viral, even among non-target millennials. It is not just the mere presence of children that guarantees the success of the video. These top videos also show the interpersonal relationships of children to their peers or parents, which mirror what viewers experience in real life. Take for example the top viewed video by Nido, an animated short entitled A Mommy’s Sacrifice. It may have an element of fantasy but the message of the video is universal. Mothers would willingly sacrifice what they have for the benefit of the children and their household. In the end, it is their relatability to their own experiences that eventually captures the viewers’ attentions and tug on their heartstrings. Nicai de Guzman is the marketing head of Rising Tide, a technology solutions company. She is also the Manila bureau manager of Probe Media Foundation's Mulat Pinoy-Kabataan News Network and a regular contributor for SPOT.ph. Follow her on Twitter, @nicaideguzman, and LinkedIn, https://www.linkedin.com/in/nicaideguzman.